To which I told them that I wasn’t kidding. 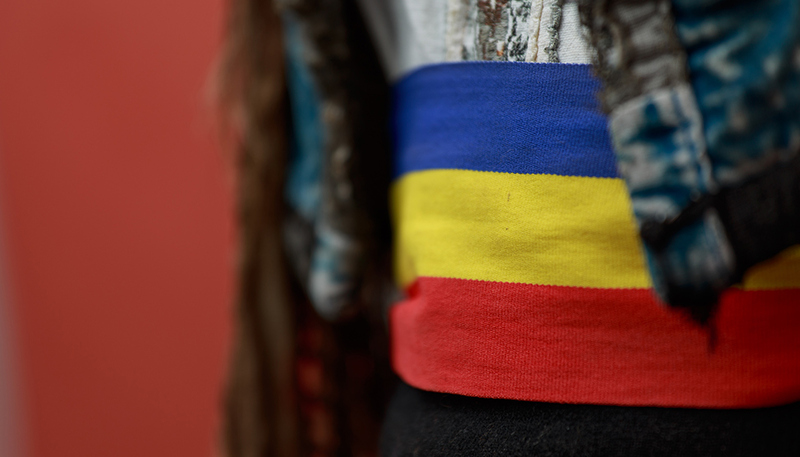 Having grown up with both German and Ukrainian heritage, I am no stranger to these little bundles of goodness. They exist in many versions across Eurasia, but Poland is the official home of the pierogi, and thus Pete and I were on a mission. To try as many as possible. We started with gusto, consuming a few plates of different varieties in the first few days. The standard potato and cheese, some with bacon, buckwheat and cheese (favourite), wild boar, and just straight sweet cheese. We made a gallant effort, all in the name of research. There were several days when we were forced to abstain in order to alleviate the pierogi coma that threatened to take over. But overall, we done ourselves proud. We tried to keep track along the way, and estimate that between the two us we ate over 170 little bundles of goodness in total. And as our days in Poland came to a close, our pierogi coma turned into pierogi panic. Where were we going to get our pierogi fix? 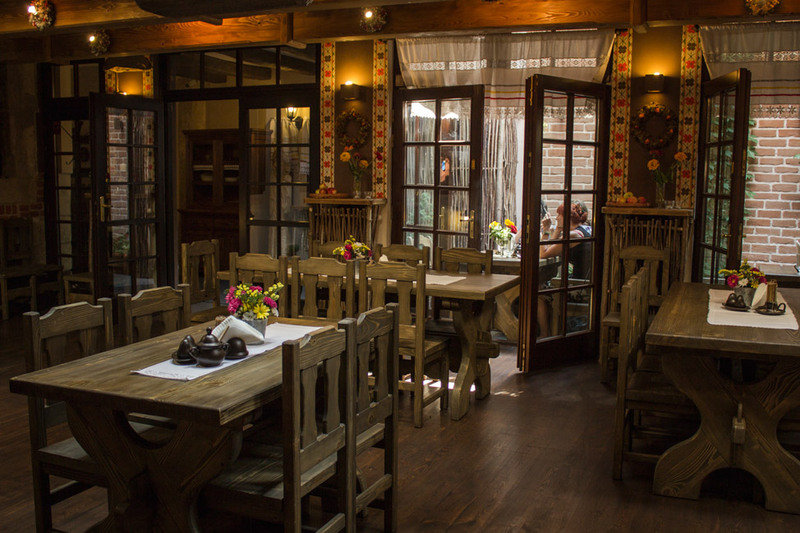 Enter Goscinna Chata – a beautifully appointed restaurant and small inn in central Krakow, home to authentic traditional food made entirely fresh and in-house. 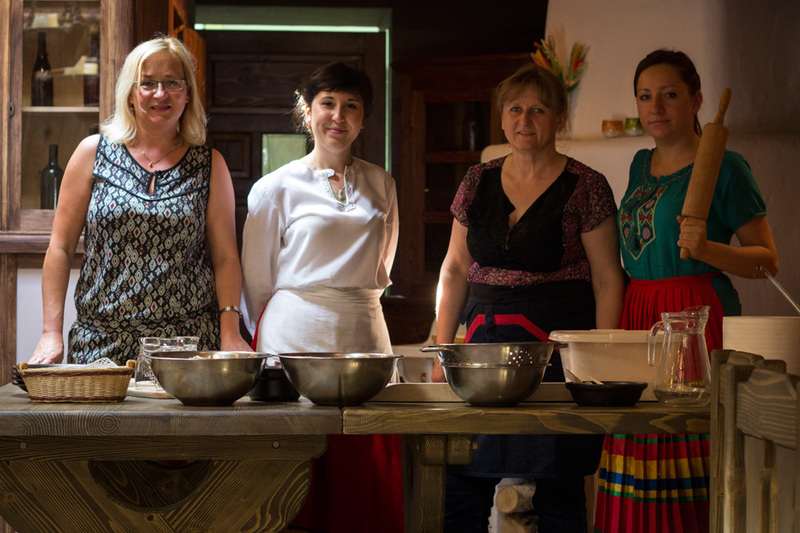 The owner and chef, Irene, invited us to teach us how to make pierogi for ourselves. The dough, we were to make ourselves. Irene moved quickly around us, kneading dough, shaping dough, trimming dough. Her fingers were nimble and stuffed the pierogi to their brim, pinching them into perfect little delectable half moons. Pete and I struggled with the act of pretty-pinching. 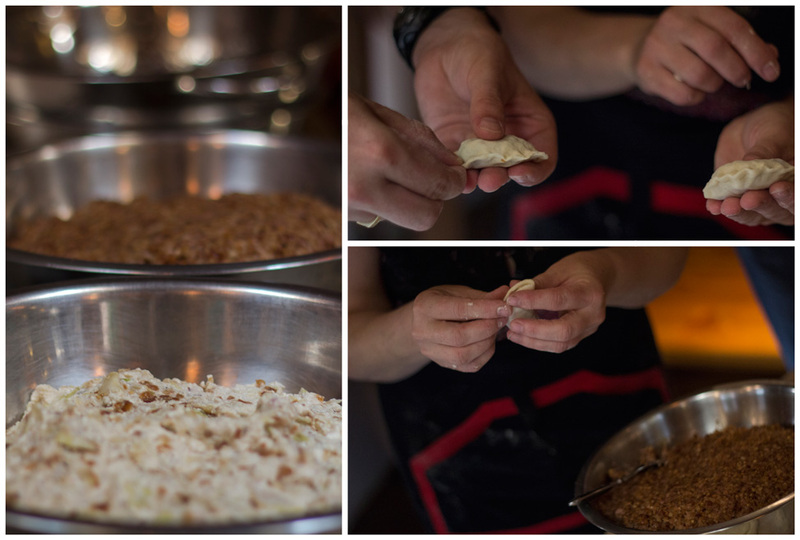 And we were awfully slow – Marzena disclosed that expert pierogi artisans can make up to 1,000 in an hour. I don’t think either of us could have made it to 100. Irene’s pretty piergoi are on the right, my sad lonely one is on the left. With finishing touches added, the final tasting was what we had ultimately been waiting for. Our own creations were good enough (best ever, I might add), but Irene and Marzena would not be satisfied until we had been plied with the other flavours the restaurant has on offer. Plum, cabbage and mushrooms, lamb and pork, black pudding and mushroom, and the most popular ruskie (potato and cheese). And this is precisely where we lost count on the total number consumed. Many thanks to Irene, Marzena and all the excellent staff of Goscinna Chata for providing us the perfect (and most delicious) end to our pierogi quest. This. Is. AWESOME!!! I love pierogi thanks to my Ukranian grandma. Sauerkraut and mushroom are my favorite, but the ones you guys sampled looked delicious!! Pete loved those ones too (I don’t like mushrooms, however). My grandma only used to make the traditional kind with potatoes and cheese. SO good. Mmmm. It’s interesting how this semi-circular pastry with filling seems a pretty common way of packaging food around the world (empanadas, cornish pasties, dim sum). I guess they’re mostly a convenient way of delivering food to the mouth using the hands! I agree with you, it is quite interesting. They are so similar in different parts of the world, with slight variations. Borders blur when it comes to food! Oh that looks great. I love pierogi too and yes, lots of Ukrainian and German communities in Canada so I know them well. Fantastic reason for visiting Poland; must visit soon myself! 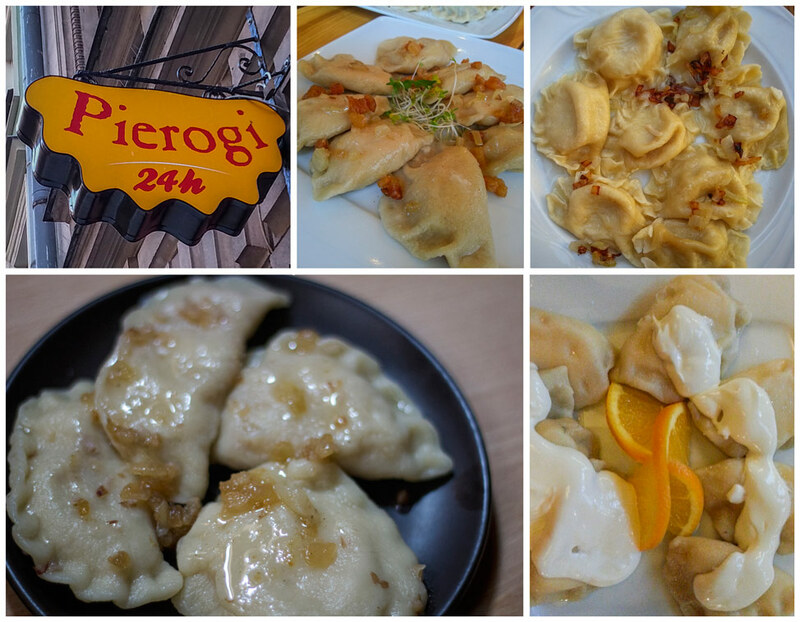 We went for the pierogi and enjoyed them, but also discovered so much more. Win, win! Oh my dear gawd those look amazing! Like miniature Cornish pasties. Time for a late night cupboard raid methinks! Pierogi’s and vodka?! Is there really anything else you need in life? Goscinna Chata looks like such an awesome place. Haha, and I do have to say, that was the best vodka I had ever tasted. So smooth, with no burn! I didn’t know that was possible! God those look awesome! It’s funny because when I lived in the UK (being so close to Europe) No one has ever heard of them before! Looks good! What is the creme type sauce that goes on top? I’m used to seeing sour cream, I use plain Balkan style yogurt now. I’m curious though as to what is in the picture. In that picture, because it was a sweet pierogi (blueberry), it was just cream with a sprinkle of sugar. But we have seen sour cream around as well – I had wondered if that was just a North American thing, but it’s not. Nom-nom-nom! I haven’t had pierogi in years. My polish grandma used to make them but it has probably been 15 years or more since I last had them. I’m obsessed with pierogi! It’s one of my favourite meals to make from scratch – time-consuming, but really fun. I would also totally go to Poland for no other reason than to try some authentic ones! I know it’s not very lady-like but, I’m drooling!!! This sounds like a dream come true! 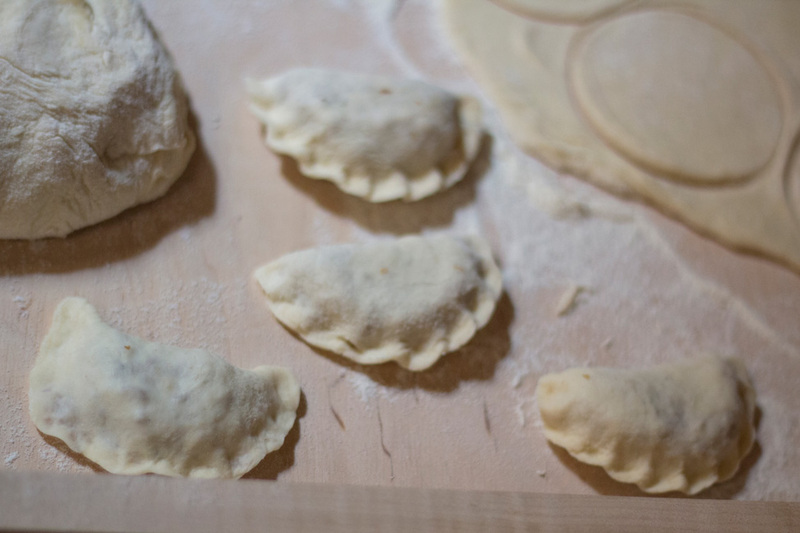 I love pierogi– especially the cheese and potato ones. I had no idea that they came in so many varieties. I think you may have just bumped Poland up a bit on my “must travel to” list! Yup. +1 for Polish perogies. 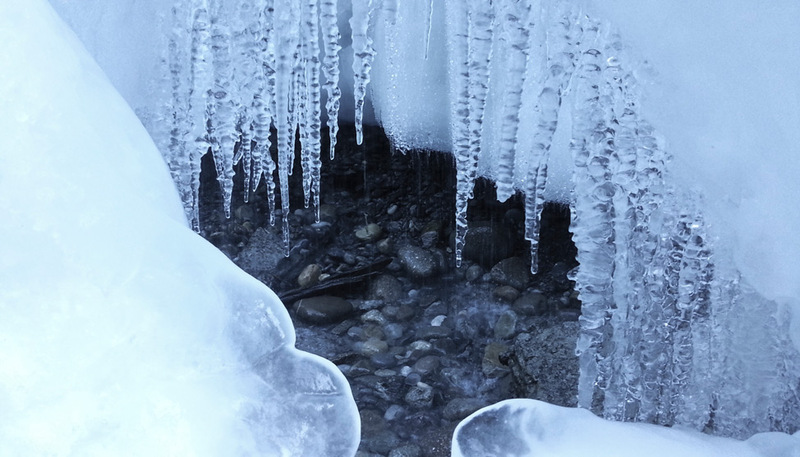 Have you been to Slovakia? There perogies are a close second for me. These look DELICIOUS! I am so made at myself that I didn’t take the time to get Pierogis in Pittsburgh, which is HUGE there. My mate got food poisoning the day we were going to. But these are legit Pierogis and I’m sure so much tastier. Great photos, thanks! My secret shameful confession is that of the few foods I don’t care much for, pierogi has always been on the list. We ate them a lot when I was younger (possibly because one of my grandmothers is from the Ukraine), but we always only had the cheese and potato filled ones and I just always found them so bland and couldn’t see the point of them. But these? These look pretty incredible and I’m pretty sure they could change my entire outlook on pierogi… I guess we’d better make our way to Poland to find out! I love pierogi. 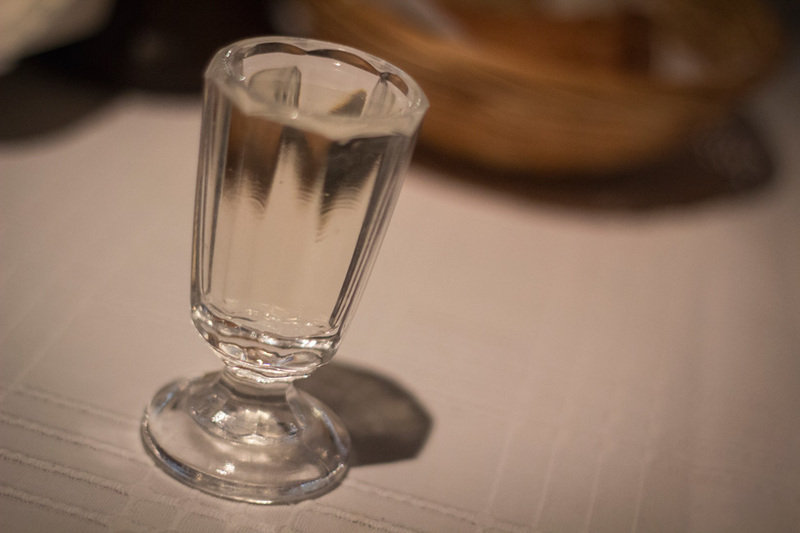 I’m not Polish, but I have a lot of Slovak in my family – and the foods are very similar. I grew up with pierogi and stuffed cabbage and all sorts of other yummy dishes from Central Europe. After eating all the pizza and pasta in Italy (ALL OF IT, I tell you), I’m looking forward to eating all the pierogi in Poland! This kind of blog research is tough, eh? 🙂 Back in the States I used to consume entire boxes of Mrs. T’s pierogi and will probably weep with joy when I finally get to taste the real thing. This is probably the best tradition EVER. One shot of vodka for each leg! The last time I made empanadas, my pinched edges looked a bit like yours. Wah wah….bet they tasted amazing, though. I want to try all those pierogi flavors. 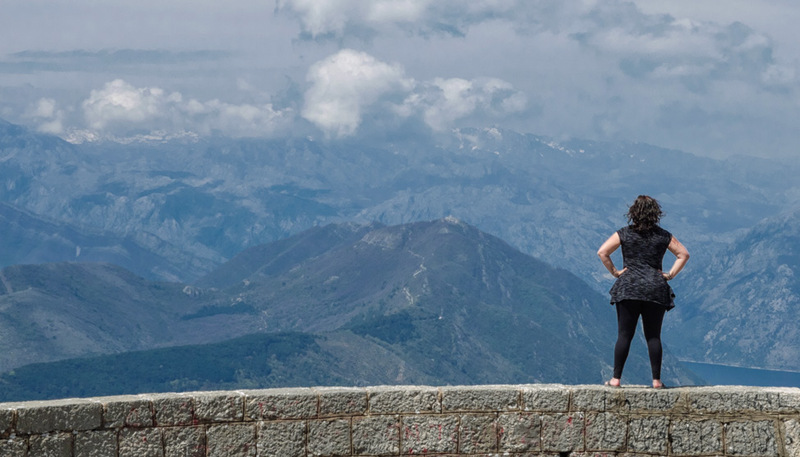 Eastern Europe is high on our list, assuming we make it to Europe. 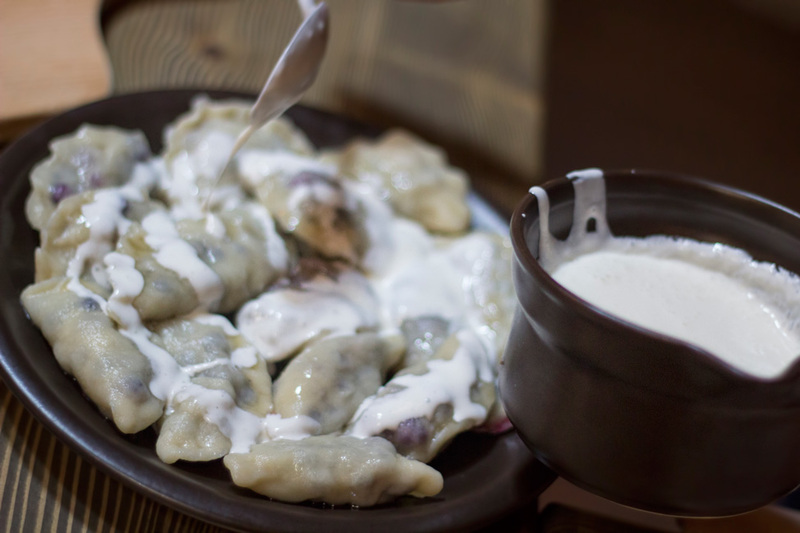 Growing up, I was aware of pierogies and certainly crossed paths with other types of dumplings on occasion, though it has only been in travelling that I learned to make them and have been intrigued to discover that dumplings are as common as individual culture’s tea rituals! In India and Nepal, they are momos, in Mongolia buuz, in China jaozi (pot stickers) and so on and so forth. I wish that I could say that I had perfected my folds, but unfortunately mu dumplings leave much to be desired aesthetically, but are delicious none the less. The lady on the end looks like she could do some damage with that rolling pin. Ummm, this looks awesome! And congrats for getting so many perogies in while travelling in Poland. I have never been impressed by pierogis because they seemed a bit flavorless to me. But I bet they are amazing in Poland and have more variety. Sounds like so much fun! 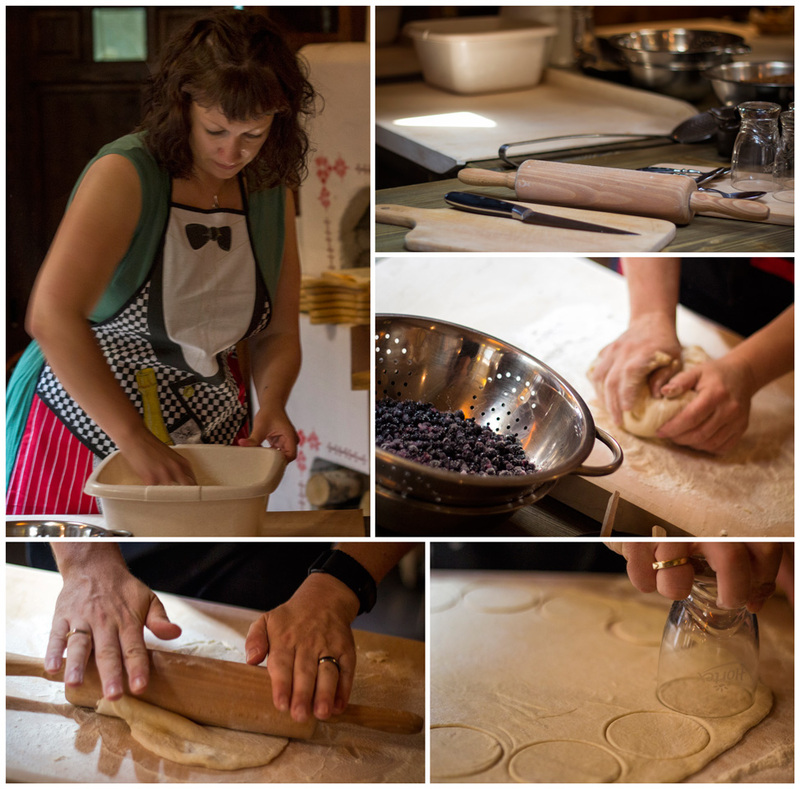 I love cooking classes when I travel, so learning how to make pierogi sounds great. And they look delicious! I love pierogi! Every time I head back home, my mom and my granny make some for me (some meaning a full plate). My favourite ones are pierogi stuffed with blueberries and raspberries topped with sour cream and sprinkle with sugar 🙂 Real Yum! My stomach hates them. I couldn’t finish my plate-they just stuck up in my throat. Don’t know why, and the place was touristy and expensive. I’ve never heard of them before. They look and sound incredibly tasty! These look divine! We will be visiting Krakow June 2015. Will definitely look up these wonderful ladies!